← I heard that “Messianics” were a cult . . . 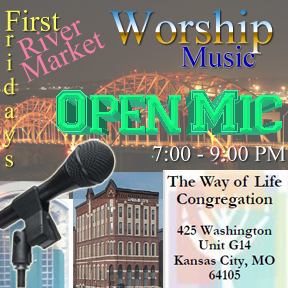 This entry was posted in Derekh HaChaim (The Way of Life) and tagged 425 Washington, 64105, congregation, downtown, First Fridays, Green Door, KC MO, music, OPEN MIC, River Market, The Lofts, The Way of Life, Worship. Bookmark the permalink.